William (Billy) Hughes was born in London in 1864. After being educated in Llandudno, he emigrated to Australia in October, 1884. He worked as a labourer and cook. He moved to Balmain, where he eventually opened a small shop, where he sold political pamphlets, did odd jobs and mended umbrellas. He joined the Socialist League in 1892 and became an organiser with the Australian Workers' Union. In 1901 he joined the Labor Party. He also studied law part-time and in 1903 he was admitted to the bar. He became a MP and served as Minister for External Affairs in the government led by Chris Watson. In 1908 he was appointed Attorney-General by Andrew Fisher. Fisher found the strain of being prime minister during the First World War exhausting and in 1915 he resigned. Hughes now became head of the government. Hughes was a strong supporter of Australia's participation in the war and General William Birdwood managed to persuade him that conscription was necessary. However, the vast majority of members of the Labor Party were opposed to the measure. Eventually he was expelled from the party over this issue. Hughes argued in a speech in December, 1915: "We must put forth all our strength. The more Australia sends to the front the less the danger will be to each man. Not only victory, but safety belongs to the big battalions. Australia turns to you for help. Fifty thousand additional troops are to be raised to form the new units of the expeditionary forces. Sixteen thousand men are required each month for reinforcements at the front. This Australia of ours, the freest and best country on God's earth, calls to her sons for aid. Destiny has given to you a great opportunity. Now is the hour when you can strike a blow on her behalf. If you love your country, if you love freedom, then take your place alongside your fellow-Australians at the front, and help them to achieve a speedy and glorious victory." 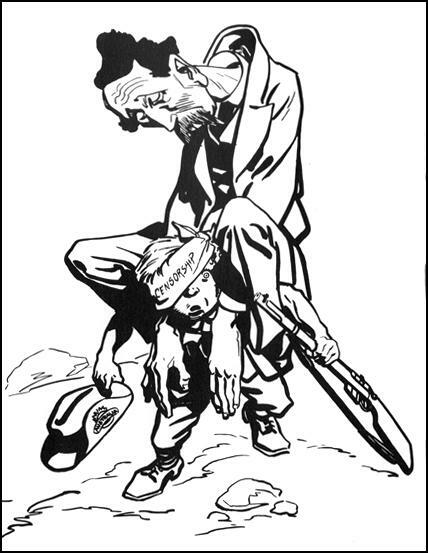 This cartoon by David Low produced in July 1917 was banned by the national censor. Billy Hughes now joined forces with the Commonwealth Liberal Party to form the Nationalist Party of Australia. At the May 1917 election Hughes and the Nationalists won a huge electoral victory. A second plebiscite on conscription was held in October 1917, but was again defeated, this time by a wider margin. Hughes claimed it was a black day for Australia. "It was a triumph for the unworthy, the selfish, and anti-British in our midst. It was a triumph for the insidious propaganda that had been actively at work in every Allied country since the war began.... The defeat was interpreted by those sections amongst us who had led the campaign as proof that Australia was war weary, that their campaign of lies and poisonous propaganda had done its work sufficiently, and not only misled the electors on this one question, but had sapped their loyalty to the Empire." William Hughes continued to lead a coalition government until the end of the war and represented Australia at the Versailles Peace Conference. Hughes views on Asians at the conference caused resentment to non-white delegates. In the early 1930s Hughes formed the United Australian Party and served in the government as Minister of External Affairs (1937-390, Attorney-General (1939-41) and Minister of the Navy (1940-41). William Morris Hughes died in 1952. We must put forth all our strength. The more Australia sends to the front the less the danger will be to each man. Not only victory, but safety belongs to the big battalions. Australia turns to you for help. Fifty thousand additional troops are to be raised to form the new units of the expeditionary forces. Sixteen thousand men are required each month for reinforcements at the front. This Australia of ours, the freest and best country on God's earth, calls to her sons for aid. Destiny has given to you a great opportunity. Now is the hour when you can strike a blow on her behalf. If you love your country, if you love freedom, then take your place alongside your fellow-Australians at the front, and help them to achieve a speedy and glorious victory. On behalf of the Commonwealth Government, and in the name of the people of Australia, I ask you to answer 'Yes' to this appeal, and do your part in this greatest war of all time. October 28, 1916, was a black day for Australia: it was a triumph for the unworthy, the selfish, and anti-British in our midst. It was a triumph for the insidious propaganda that had been actively at work in every Allied country since the war began. 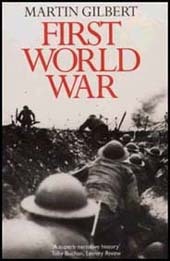 Our troops in the trenches were taunted by the enemy - "Australians, your comrades have deserted you." The defeat was interpreted by those sections amongst us who had led the campaign as proof that Australia was war weary, that their campaign of lies and poisonous propaganda had done its work sufficiently, and not only misled the electors on this one question, but had sapped their loyalty to the Empire.